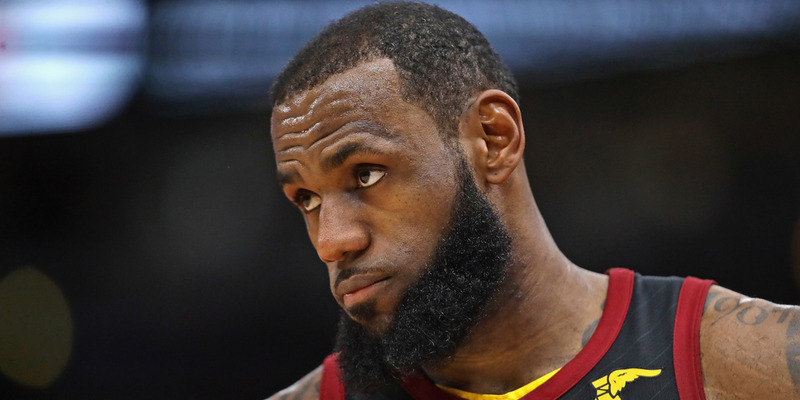 Jonathan Daniel/Getty ImagesLeBron James already has already won league MVP four times, and might be due for a fifth after yet another unbelievable season. LeBron James’ incredible 15th season has him in the conversation to win his fifth MVP award. James’ numbers back up his claim, as he is currently leading the league in minutes and among the top three in both points and assists despite a continually changing roster surrounding him. LeBron James is having yet another unbelievable season. Already with four MVP trophies to his name, many believe that James may be due for another one this season, given his impressive performance amidst the most turbulent season of his career. Chief among these believers is James himself. James recently weighed in on this year’s MVP race to the Associated Press. While many see Rockets guard and league-leading scorer James Harden as the front-runner to take home the prize, James was resolute in his confidence that even in his 15th year, he’s still the best in the league. Harden is still the favourite to win MVP as the season enters its final stretch, but the case for James is a strong one. In his 15th season, James is leading the league in minutes and top-three in both points and assists per game. He is doing this with a Cavaliers roster that has seen more turnover this season that many teams do over the course of three. James further explained that he was happy to expand the idea of what a 15th season could look like, and credited his training regimen for his success so deep into his career. It’s not just what James has done, but how he’s done it. In March alone, James has pulled off an insane run of unbelievable passes, handles, and dunks other players would be happy to have had over the course of their entire career. The Cavaliers are currently in third place in the Eastern Conference with eight games remaining. Should James continue his monstrous season, there’s a chance he could, in fact, jump Harden in the eyes of voters to win his fifth award, tying him with Michael Jordan and Bill Russell.